Save Up To 25% Today Over Mountain Hotels! Make Travel Easy With Top AAA Approved Travel. 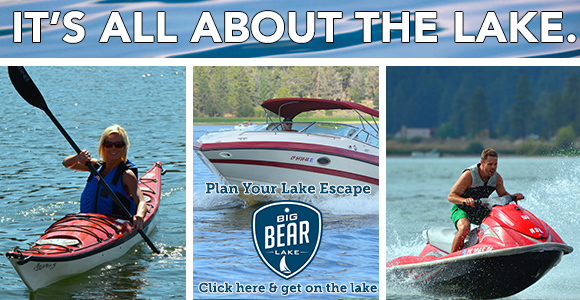 Ask about our weekday vacation discounts on Big Bear Lake group lodging too. Big and small groups are always welcome. The best non hotel vacation place to stay in Big Bear Lake. 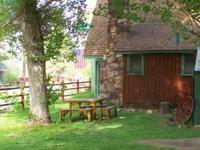 We have a limited number of pet friendly cabins with fenced yards where well behaved pets are welcome. Pet vacation rates at Golden Bear Cottages non hotel is $10 per day for each pet. Guests may receive FREE local restaurant and retail store coupons in addition to our special offers. Thank you to ALL VETS. This Summer's Holiday Vacation in Big Bear Lake comes with a "FREE DAY". It's a sure way to make your vacation relaxing. Our toll free phone number is 1-800-461-1023. Please call soon to reserve your week long vacation or quick mountain cabin getaway from hectic city life. 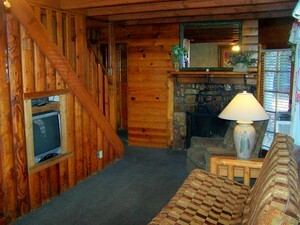 Vacation in one of our AAA approved non hotel cabins near Big Bear Lake. Listen for affordable mid-week mountain cabin lodging special offers on KCAL-FM 96.7 and KOLA-FM 99.9 also KCAA- AM 1050... use the station logo to...listen live on the Internet, and in Southern Nevada and Arizona KSTAR-AM and KFLG FM 94.7... Golden Bear Cottages guests can listen… on your computer live on free Wi-Fi wireless Internet system at the resort. Just ask for the secure login and password at the office. for the tenth straight year! Average daily family and group lodging cost per person is only about $29 in the off-season and $35 in the high season at Golden Bear Cottages family friendly resort in Big Bear Lake. Make your discount cabin rental reservations for your big mountain cabin vacation early! CABIN RENTAL PRICES FOR THANKSGIVING, CHRISTMAS AND OTHER MAJOR HOLIDAYS ARE THE SAME AS OUR REGULAR HIGH SEASON RENTAL RATES, BUT THESE HOLIDAY CABIN RESERVATIONS DO HAVE LONGER MINIMUM STAYS. 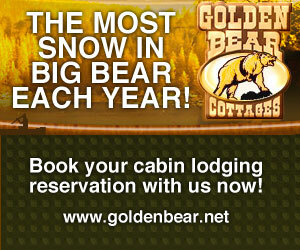 Best family vacations in Southern California are Golden Bear Cottages Resort. Best Family Cabins, California, 2009-2013 rated the best non hotel place to stay in Big Bear Lake.